Carrier Oils That ‘Carry’ Themselves So Well! Carrier oils are typically extracted and produced from the fatty portions of their parent plant. They are extracted by the means of cold pressed extraction methods as this process obtains the best quality and quantity without affecting the natural contents within. Carrier oils are aptly named as they function to “carry” the essential oils through the skin. In simple terms they are the base oils that ‘dilute’ the essential oils meant for the topical application on the skin. Every carrier oil has a different set of attributes and properties, that in one way or the other and for various reasons extends its benefits to us. As similar to essential oils, every carrier oil has its own fragrance, aroma and texture. 100% pure and Natural Carrier Oils and Base Oils do not evaporate however they have a shorter shelf life in comparison to pure and natural essential oils. They are used for many purposes like preparing aromatherapy blends, cooking, preparing exotic salads and pastas, cosmetics, skin care and numerous such uses. At AROMAAZ INTERNATIONAL mega on-line web-store you will huge variety of carrier oils meant for all your purposes and reasons. 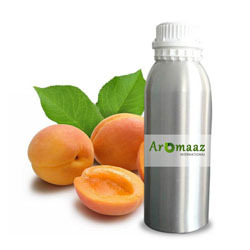 AROMAAZ INTERNATIONAL is one of the renowned name and one of the leading firm, which not only exports its products to all parts of the globe, it also manufactures and supplies its products to all categories of buyers – Bulk buyers, Wholesalers and Retailers. One can find our 100% natural and pure carrier oil products like Coconut (refined and crude Avocado Carrier Oil (refined and crude), Borage, Almond (Sweet and Bitter), Black Cumin seed, Evening Primrose, Cucumber seeds, Apricot Kernel, Grape seed and many more. 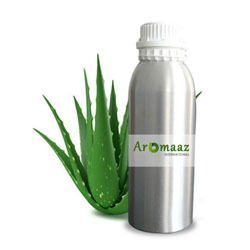 Carrier oil of the Aloe-Vera is greatly demanded by our customer for its sheer quality. All our best quality carrier oils are available at unbelievable and ‘rock-bottom’ pricing. Besides the rates mentioned at our e-Commerce enabled web store, we have several attractive options for your wholesale and/or bulk purchase needs. 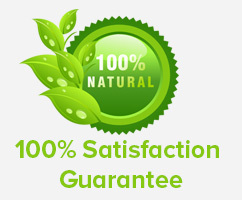 AROMAAZ INTERNATIONAL promises you ‘numero uno’ quality carrier oils to meet all your needs and requirements. We are confident for our quality products not only meeting your expectations and rather exceeding them!